Can you confirm these amateur observations of Oxyrhopus trigeminus? 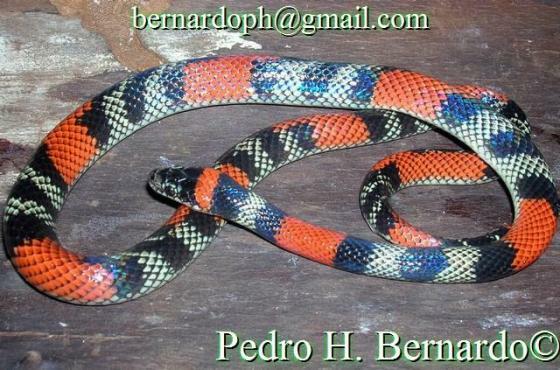 Type locality: Distrito Federal, Brazil. Comment Distribution: not in Venezuela; The species was recorded from Venezuela (Lancini 1979), but Zaher and Caramaschi (1992) re-identified the original photographs published by Lancini as O. aff. melanogenys [RIVAS et al. 2012]. Donnelly et al. (2005) reported a specimen of Oxyrhopus trigeminus from Iwokrama in central Guyana, but the specimen was re-identified as O. melanogenys by MacCulloch and Lathrop (MacCulloch et al. 2009). Not in Bolivia; specimens from Bolivia are actually O. guibei. Not in Paraguay (fide Paul Smith, pers. comm., 27 Apr 2014). 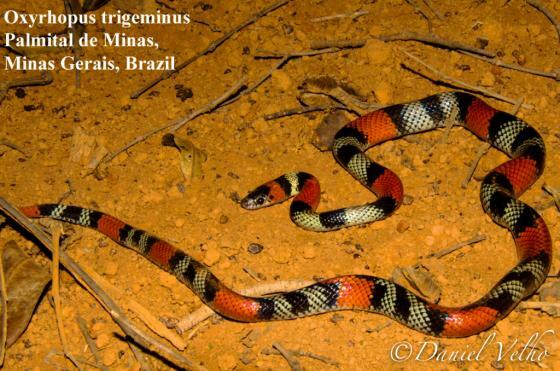 Subspecies: Oxyrhopus trigeminus guibei has been elevated to full species status.